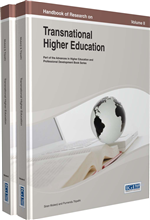 The purpose of this chapter is to examine major adjustment challenges facing mainland Chinese students in Hong Kong. Even though a large amount of studies have been carried out to understand adjustment issues of mainland Chinese students studying overseas, few are with students in Hong Kong. This study aims to deepen our understanding of the major adjustment issues of this particular group. The current study employed both quantitative and qualitative methods and included over 300 mainland Chinese students studying in seven major government-funded universities. The findings of this study point to the need that individual tertiary institutions and the Hong Kong government should step up their effort in responding sufficiently and flexibly in meeting the critical needs of these mainland Chinese students by paying additional attention to the quality and accessibility of both education-related services and non-education factors. The number of international students worldwide has grown significantly in the past two decades. According to the Organization for Economic Cooperation and Development (OECD), there were fewer than 1.4 million international students worldwide in 1995, but the number increased to approximately 3.5 million in 2009 (OECD, 2012). It has been estimated that the number of international students studying outside their home country may reach 8 million by 2025 (Bhandari, 2009). Among all countries, China remains the leading sending country for international students. In 2008, over 380,000 mainland Chinese students were studying abroad for degrees at overseas universities (Institute of International Education, 2009). It is predicted that the number of mainland Chinese students overseas will increase to 645,000 by 2028 (Maslen, 2007). The United States, Japan, the United Kingdom, Australia, and Germany are the top five popular study destinations among mainland Chinese students (Institute of International Education, 2009). According to Rahul Choudaha, associate director of the New York-based World Education Services, the high demand among Chinese to study overseas is driven by “a shortage of places on high-quality degree courses at home and the pressure to have an overseas qualification when chasing jobs” (Coughlan, 2011). In the past decade, Hong Kong has also become increasingly popular among mainland Chinese students (Hung, Shive, Wang, & Diu, 2005; Li & Bray, 2006). According to the latest statistics from the Hong Kong government, there are currently over 10,000 non-local students studying in Hong Kong (University Grants Committee, 2012). As indicated in Table 1, the majority of these non-local students (90%) are from mainland China. Medium of Instruction: It refers to a language used in teaching. Bilingual or multilingual education may involve if more than one language of instruction is applied in teaching and learning. Sojourner: It refers to people who temporarily reside in a place due to academic and professional reasons. They face the challenges of cultural adjustment and confusion in their identity. Non-Local Students: It refers to students who are originally not from local background (e.g. mainland Chinese students in Hong Kong). They encounter cultural barriers and social engagement problems. The rapid increased number of non-local students draws the attention of multi-cultural campuses and internationalization policy in education. Academic Adjustment: It refers to students develop their coping skills and learning strategies aiming at achieving satisfactory academic results. Education Hub: It refers to a designated region where aims to enhance the competitiveness of the country by providing high-quality education for both international and domestic students. It also provides a context for knowledge production and innovation through education and training.